There are so many things to be excited about as spring approaches. New signs of life are everywhere, as bright green leaves emerge on trees and flowers begin to bloom. And another key development is the arrival of a multitude of foods that are in season during springtime. Here are some of them. One reason to cheer the arrival of spring is that it means the emergence of tender, bright-green asparagus stalks. This tasty veggie pairs well with most entrees, such as fish and chicken. Simply steam it and serve by itself, or add a drizzle of olive oil and a sprinkling of unrefined sea salt. It can be difficult to go months without being able to find fresh strawberries during the winter, but as spring approaches, this nutritional powerhouse fruit is more readily available. Enjoy berries in a fruit salad or smoothie. Greens of all types are good for you, and there is an abundance to choose from during spring. That includes kale, spinach, chard, collard greens, lettuce, and cabbage. Include tender, leafy greens as a side dish for lunch or dinner, or incorporate them into various recipes like quiche and soup. Broccoli is that staple vegetable that is easier to find from local sources during the spring. Enjoy it steamed as a side dish for dinner, or eat it raw with a healthy dip like tahini. The color, smell, and flavor of apricots just seem to say "spring." Try this delicate fruit as a snack, or add to a tossed green salad or chicken dish. Apricots are really versatile while being delicious and healthy. 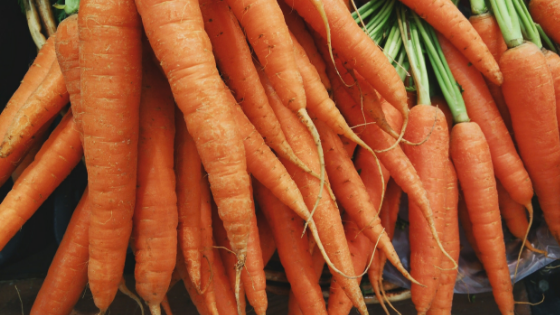 Both carrots and celery are go-to veggies that are great to keep on hand as often as possible. They can be cooked or eaten raw simply cut up into pieces and enjoyed as a snack. Try out some or all of these delicious and nutritious foods this spring. Your local farmers market is a great place to purchase many of them. And if you're looking for a new home as the weather warms up, our Atlanta apartments are inviting and relaxing. Feel free to call our office today to see which floor plans are still available.